Test cases may be added to a test run from any selected test case. Simply select a test case and then click on the Test Run tab in the Properties Pane. Next click on Configure Test Run and select a test run to be configured. 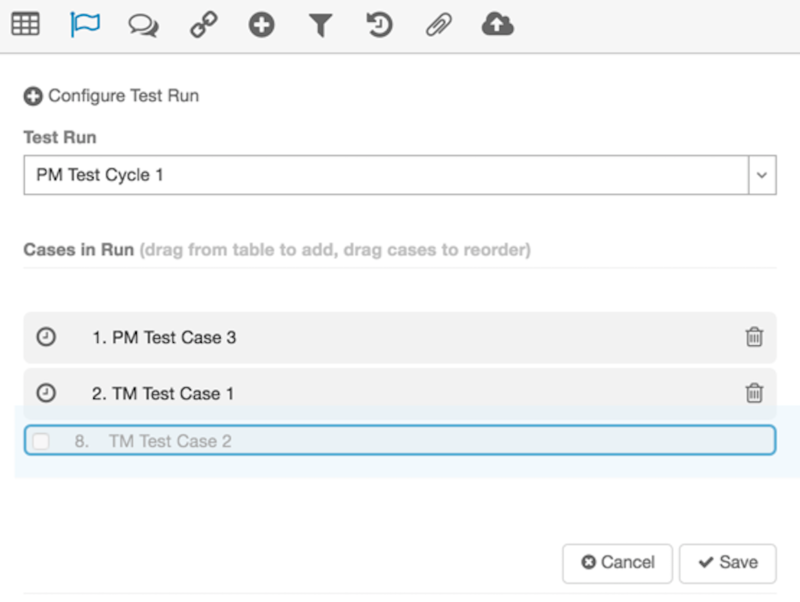 Select one or more test cases from the Content Pane to include in the test run and drag and drop them into the Cases in Run section. To order the test cases, simply drag and drop them in the order in which the test cases are to be tested.